2. Install Git for downloading ESP32 kit. 3. 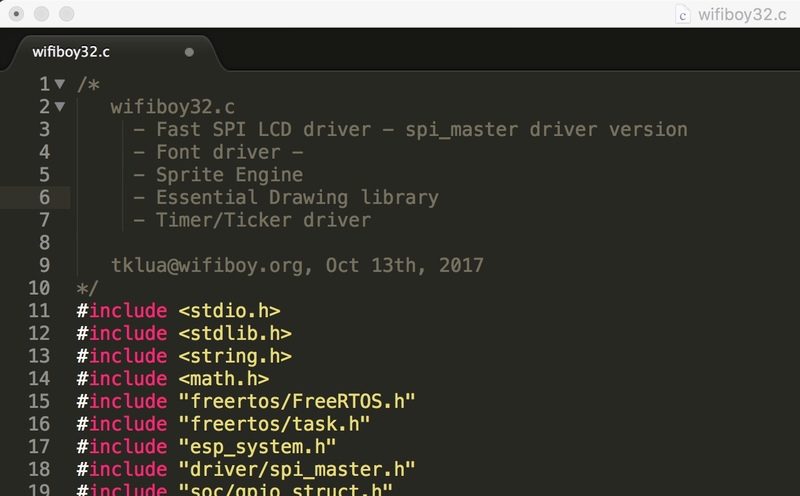 Use Git GUI to download ESP32 Core. 4. Run get.exe to download ESP32 Toolchain. 5. Install CP2102 USB-Serial Driver. (Download here). 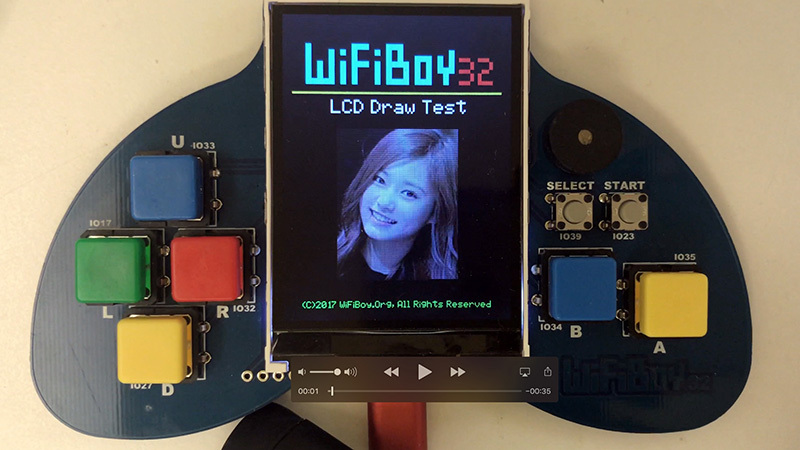 You will need our LCD library to utilize WiFiBoy32 LCD and ESP32 programming. The sprite engine is implemented with a 8-bit offscreen trick. We use GIMP to generate a 256-color image sprite map into C header source. It's necessary for most of our Arduino code examples. Please download and use "Include Library"-->"Add ZIP library" to install. 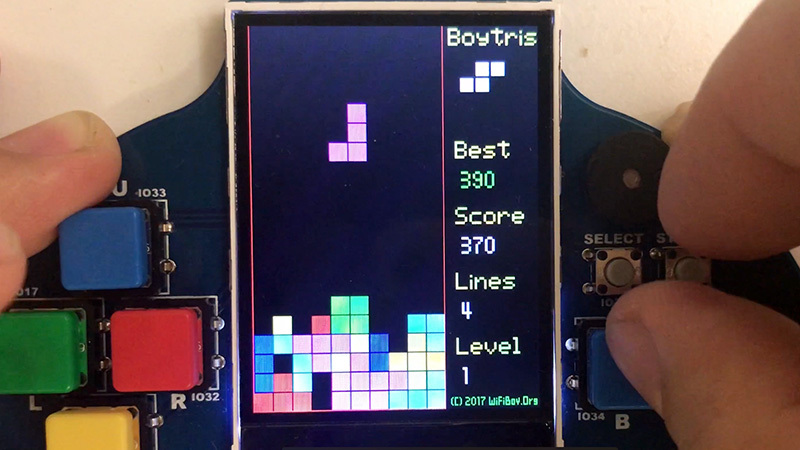 This is a Tetris clone example. Written in only 450 lines but full of fun. 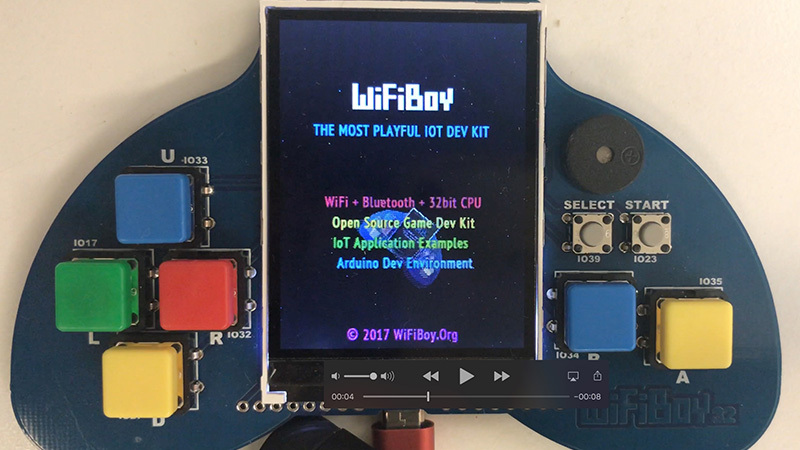 It's a must-see example for WiFiBoy game development. 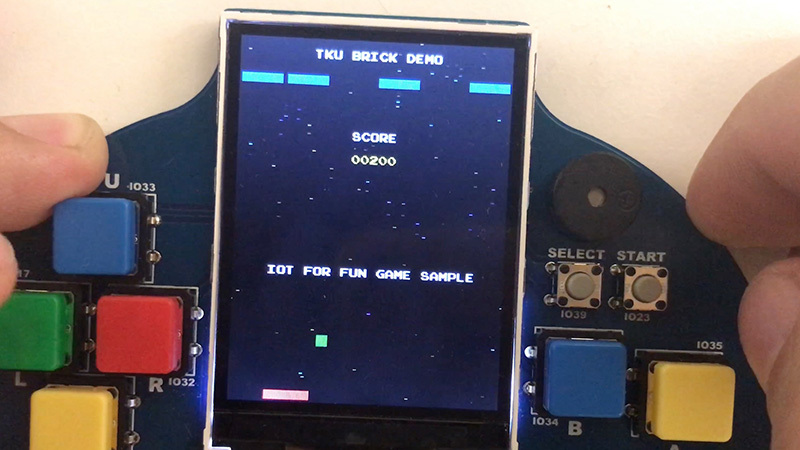 This is a very basic game example for Arduino. But It's not an easy to understand code sample. 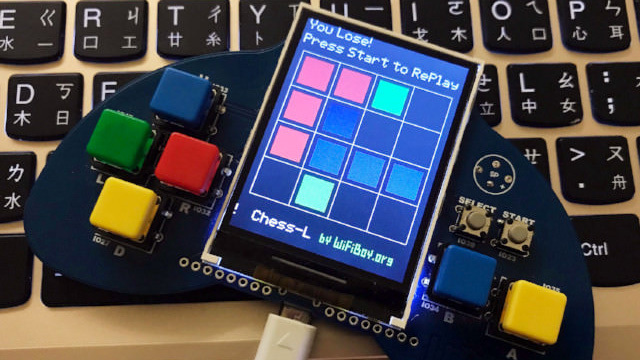 It is implemented with a sprite engined offscreen tricks. L-Game is invented by Dr. Edward de Bono. It's a strategy training game. 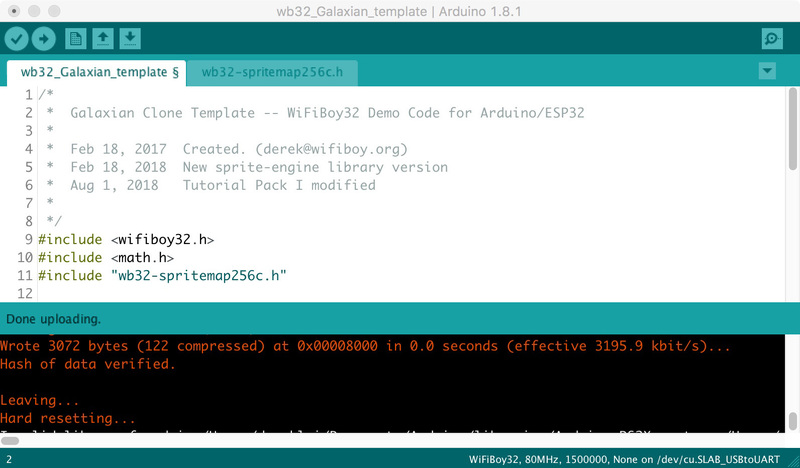 This WiFiBoy32 implementation is a "never-lose" AI example from Derek Lai. This is a Sprite-engine demo code. 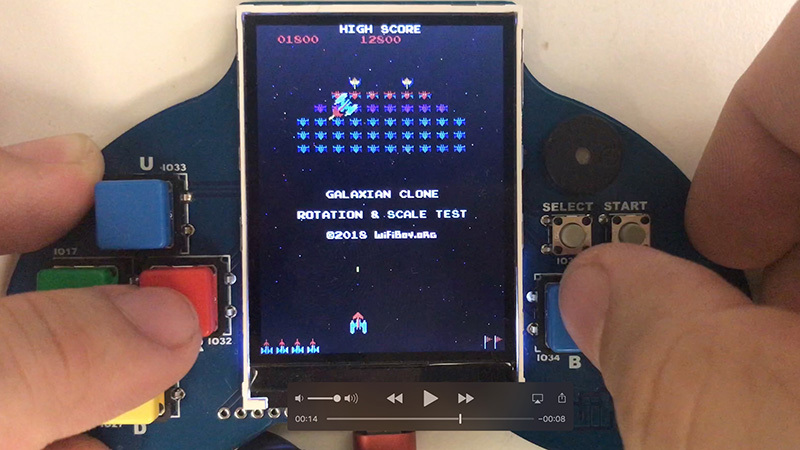 It's a Galaxian game scene example. There is a sprite blit(image block copy and paste) and rotate-scale algorithm test code. This code example shows a splash display with image animation and pwm sound + key controls. 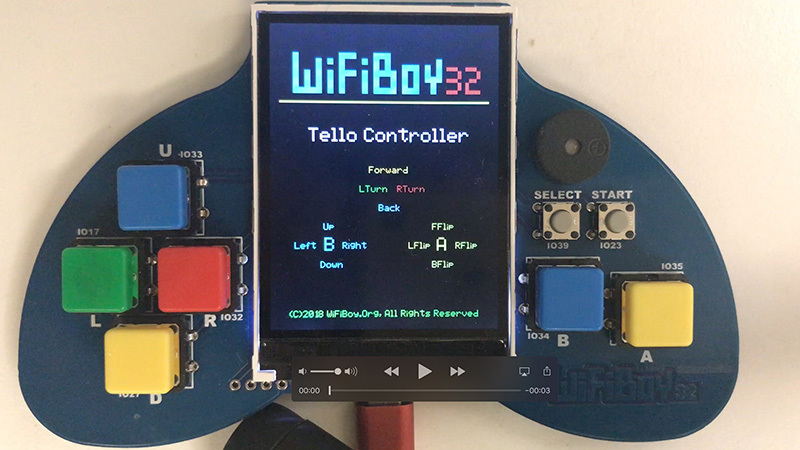 This code demos a WiFi UDP Tello Drone controller. Please check Tello SDK for details. This is a fast LCD drawing test. This code example implement a 12x12 Chinese font drawing. You can exchange the font file to Japanese/Koren 12x12 fonts. The 12x12 font is formatted to 18-byte (36-nibble).